"Filipinos are [naturally] fond of giving gifts to people they love and care about. We want to help them by providing innovative products that are useful as they are well-designed," shared LG Mobile Philippines Vice President Mr. Jay Won. Chancing upon the perfect gift for your Valentine is not an easy task. It has to be unique yet enduring, personal yet practical, and most importantly, it has to be something that they can appreciate and enjoy. Technology trailblazer LG Electronics has taken out the guesswork with their wide range of innovative and exciting gift ideas that your special someone will tirelessly cherish. 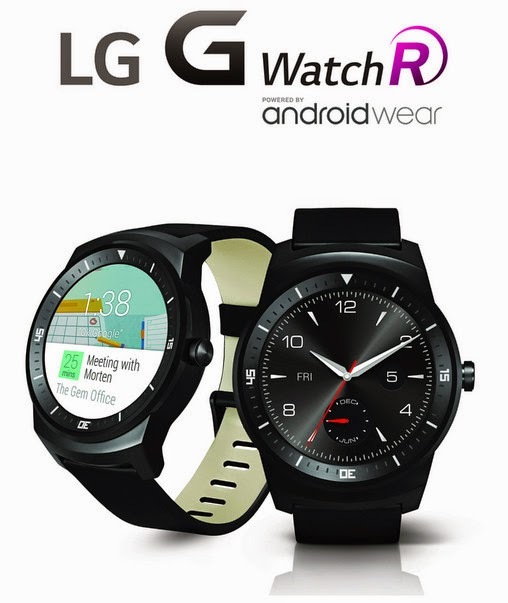 LG has the nifty G Watch R, which has been raved for its stylish design and seamless performance. The world’s first smartwatch with a fully circular P-OLED display, the LG G Watch R is the perfect accessory for young and active go-getters. It can notify users with the latest in weather, traffic, and social media updates. Couples can also sync their anniversaries and track important dates using the Voice Command. 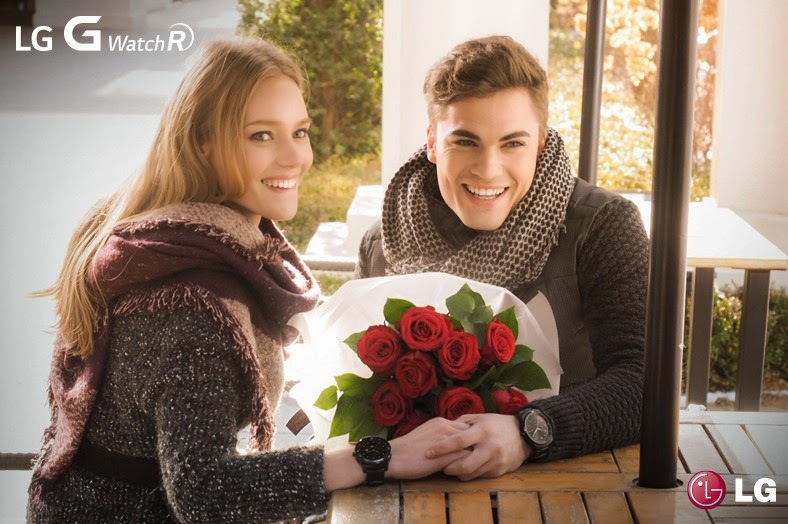 The LG G Watch R comes with multiple his and hers straps. This tiny device packs a powerful punch with its 410 mAh battery capacity, efficient 1.2GHz Qualcomm Snapdragon 400 processor, and dust and water resistance for up to 30 minutes at a maximum depth of one meter. 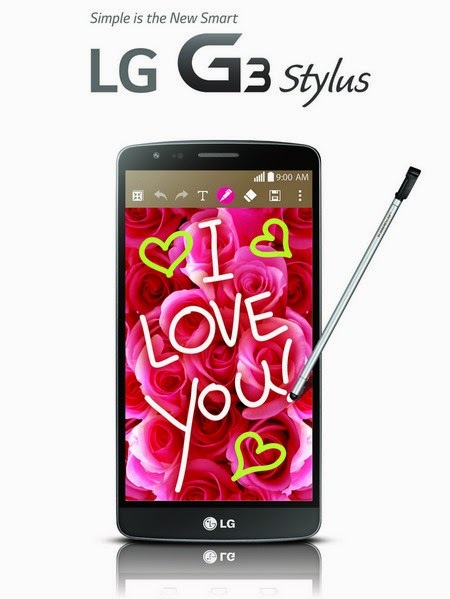 The LG G3 Stylus phablet, on the other hand, opens up a world of fun activities for couples with its accurate and convenient Rubberdium stylus pen that enables users to scribble down and send handwritten love notes. Couples will have no trouble capturing special moments with its 13-megapixel camera and impressive camera features like the Touch and Shoot, Gesture Shot, and Front Camera Light. Adding a personal touch to your couple selfies is also made easier with its unique Quick Memo function. The LG G3 Stylus boasts a 5.5-inch IPS HD display with an 8GB internal memory, long lasting 3,000 mAh removable battery, and Dual SIM slots. Its Floating Arc design with gradually tapered edges, thin bezels, and metallic skin back cover ensure superior comfort. The LG G Watch R retails for Php 13,990. 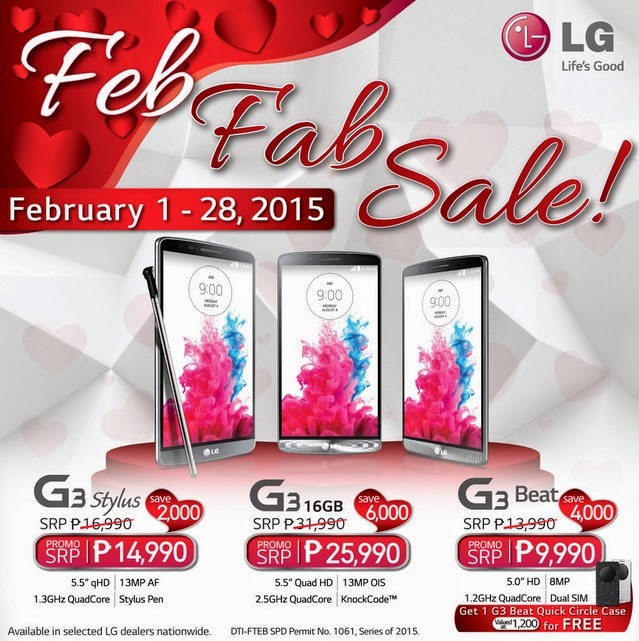 The LG G3 Stylus, on the other hand, will sell for only Php 14,990 (from P16,990) this whole month of February during the Feb Fab Sale. Consumers can also get their hands on the multi-award-winning flagship - the TechPinas Badge of Excellence Awardee - LG G3 for only Php 25,990, allowing significant Php 6,000 savings from the usual Php 31,990, and the LG G3 Beat, now at Php 9,990 from Php 13,990. Read our LG G3 Philippines Review and get to know more about the feature-packed LG G3 Stylus and handsome LG G3 Beat. Happy Love Month, TP Friends!